So far “426 cases including 245 deaths" have been recorded, an official briefing from the WHO said. 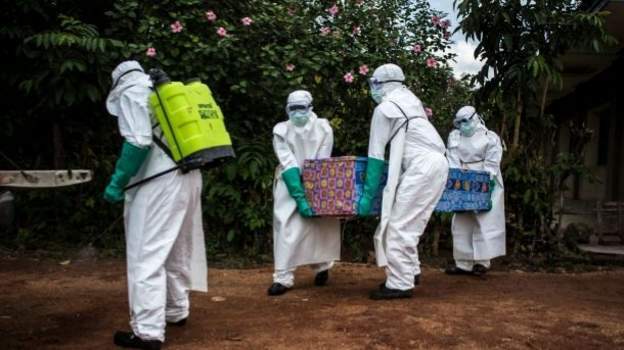 The World Health Organization has signalled that the current Ebola outbreak in the Democratic Republic of Congo is getting out of control. So far “426 cases including 245 deaths” have been recorded, an official briefing from the WHO said. Many of these cases have been reported in the town of Beni, the epicentre of the recent outbreak. Fighting the outbreak in Beni has also become a challenge due to ongoing conflict there. The DR Congo outbreak only comes second to the outbreak recorded in West Africa between 2013 and 2016 which killed over 11,000 people. The current outbreak is the second to hit the central African country after the previous outbreak was declared over. The Ebola virus which is transmitted by bats after detection in DRC was named after the Ebola River. Ebola leads to internal and external bleeding which can cause damage done to blood vessels.